As a continuation of the Art of Reconciliation program, Christ Church Parish is exhibiting the art of Farooq Hassan and his wife, artist Haifa Al Habeeb, in Maginnis Chapel through May 2019. Both artists were born in Iraq and spent the majority of their lives there. During that time they were well-known artists and part of a thriving art community. The exhibit was curated by parishoner LeRoy Goertz, an artist himself and founder of the Art of Reconciliation program. Goertz included Hassan and Al Habeeb in a previous Art of Reconciliation exhibit at Concordia College in 2013. He finds their story and art compelling. Hassan and Al Habeeb were both born in Basra, Iraq; he in 1939 and she in 1945. 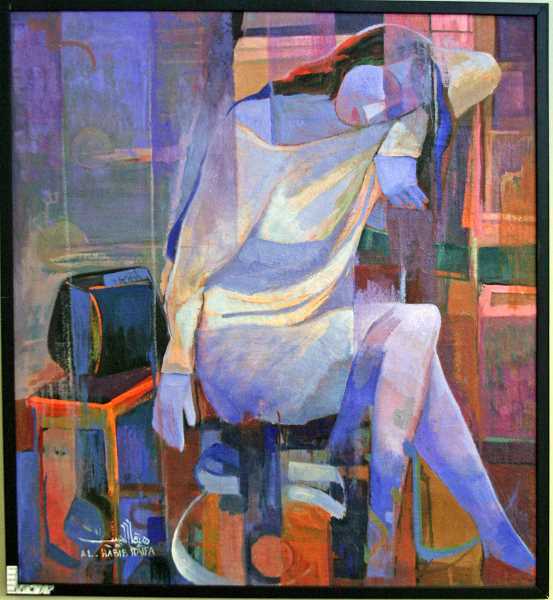 Hassan earned a Certificate of Fine Arts Institute in Baghdad in 1960, then returned to Basra to teach art at a primary school. That is where he met Al Habeeb. They have been married for more than 50 years. They both graduated in 1980 from the Fine Arts Academy in Rome, Italy. Al Habeeb's major was scenography architecture; she worked in the movie and television industry as an art director from 1981 to 1990, designing costumes, decorations and accessories. Her work would lead to her designing five stamps of folkloric Iraqi costumes for the Iraqi postal service, and to publish a book through University of Basrah on folkloric Iraqi costumes. She is also a writer of television and cinematic scenarios. 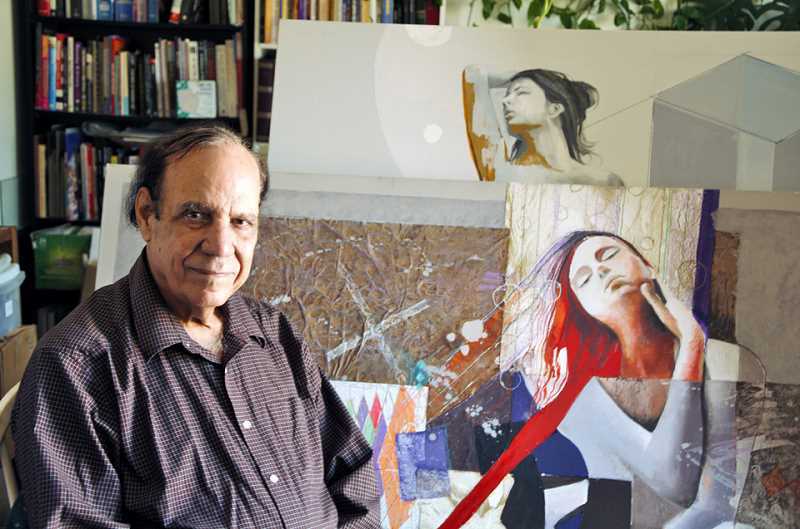 Hassan also worked in the television and film industry, designing and decorating sets, and also designed stamps for the Iraqi postal service. 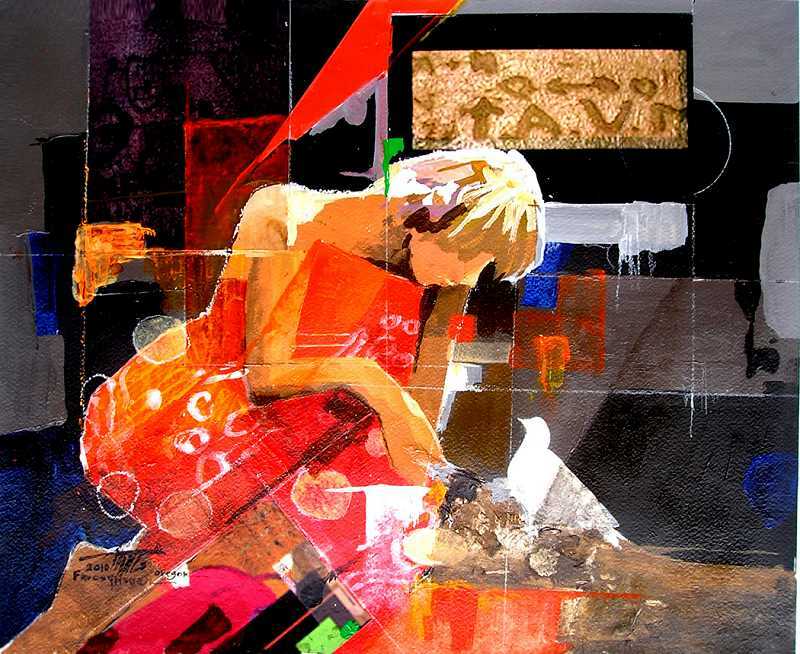 He has been a full-time award-winning artist since 1991, with national and international exhibitions to his credit. When the Iraq war heated up in 2003, Hassan lost some of his most prized art in the looting of the Iraq Museum. During the outbreak of the conflict the couple and their children escaped to Baghdad until it was safe to return to Basra. Two years later, Islamic terrorist groups took control of Basra, which Hassan says "destroyed everything."